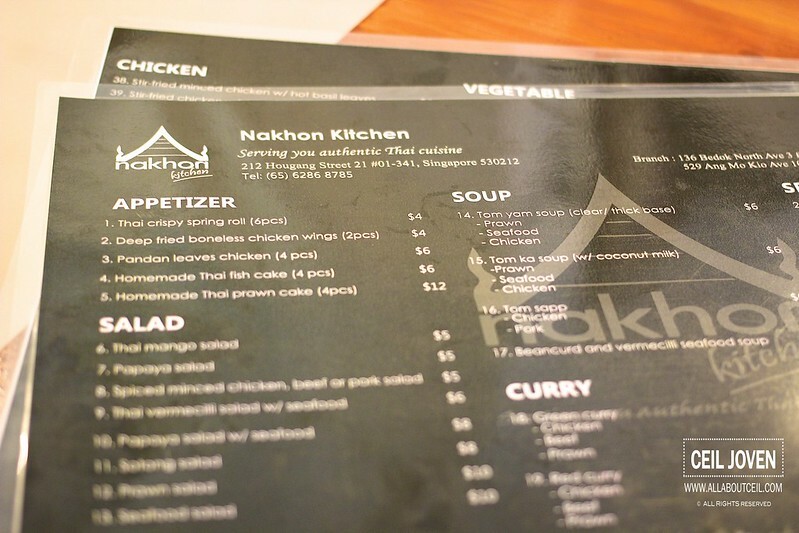 This is definitely a good news to fans of Nakhon Kitchen like myself that their 3rd outlet has recently opened in Ang Mo Kio Avenue 10, beside the supposedly famous Pine Garden's Cake. I was there at about 1.30 pm on a Public Holiday and expecting it to be as crowded as their other 2 outlets located at Hougang and Bedok North. Maybe the news of their new opening has not gotten too far yet as there was still 2 empty tables then. We took the corner table and went through the menu quickly. The items on the menu are the same with their other outlets. 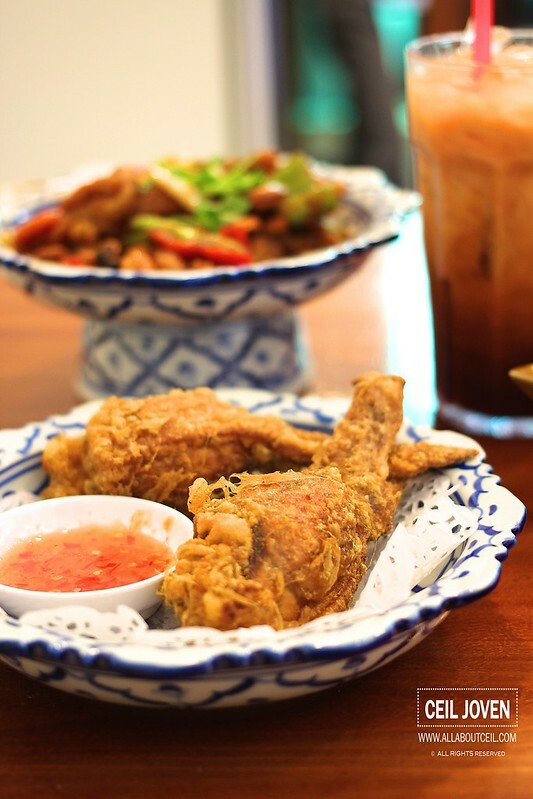 I decided to order my favourite dish - Fried Chicken with Cashew Nuts for $6 together with the Deep Fried Boneless Chicken Wings (2 pieces) for $4 and Homemade Thai Fish Cake (4 pieces) for $6. 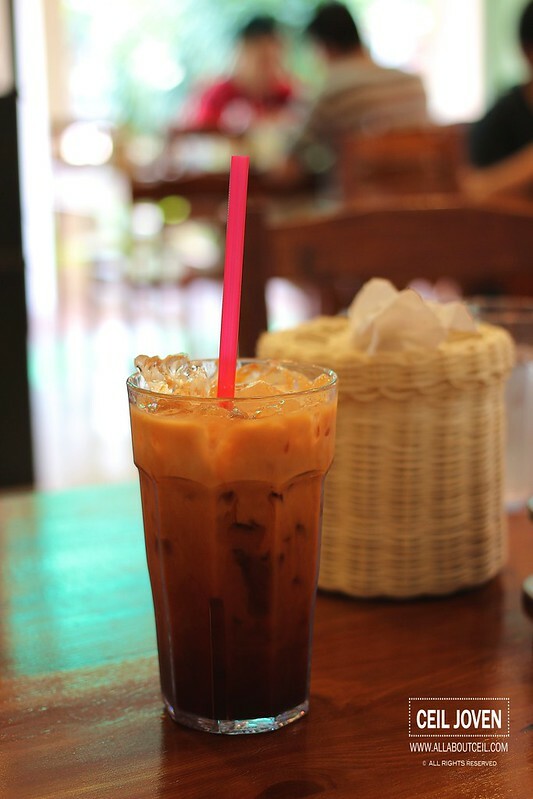 The must order drink has to be the Thai Iced Tea for $3. The service was rather prompt. We were served iced water when we seated, the waiting staff came by quickly to refill it later. 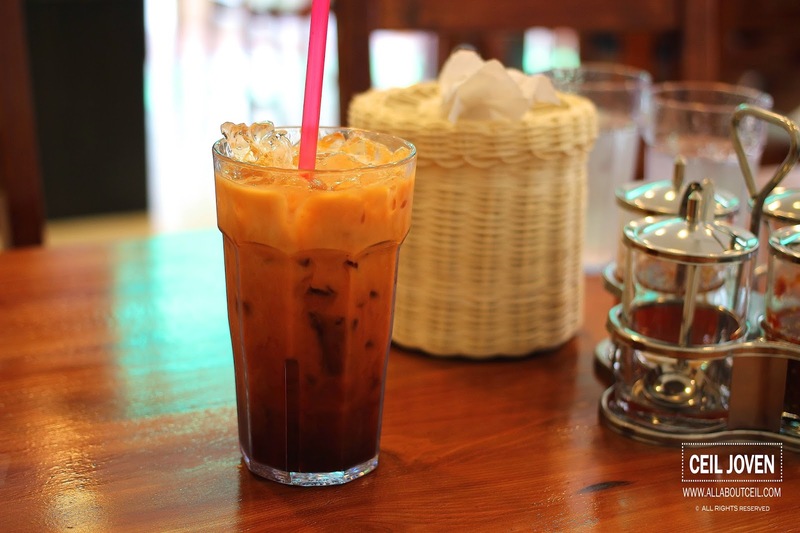 The Thai Iced Tea came first. It was served with just a substantial amount of ice cubes to keep it chilled without diluting its taste further. I could taste the nice fragrance of tea with just the right sweetness from the condensed milk with a nice hint of star anise and ground tamarind to give it just the right taste. I have always enjoyed such authentic taste. 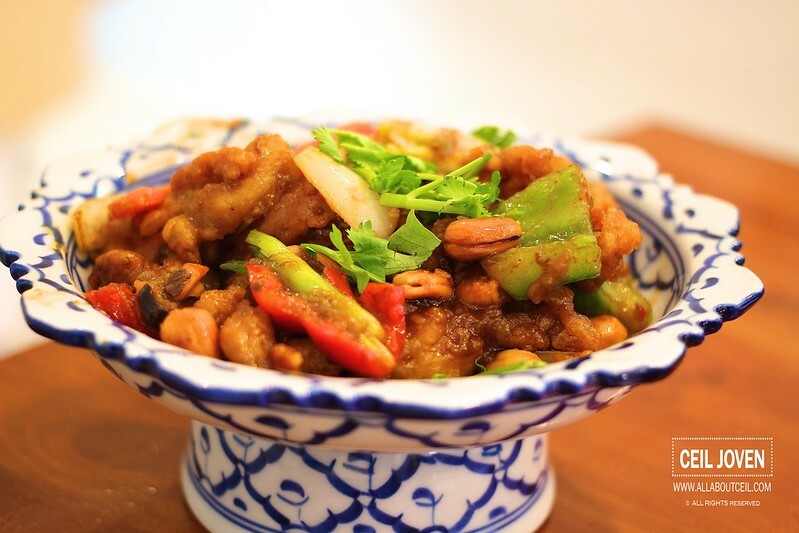 The Fried Chicken with Cashew Nuts came next. 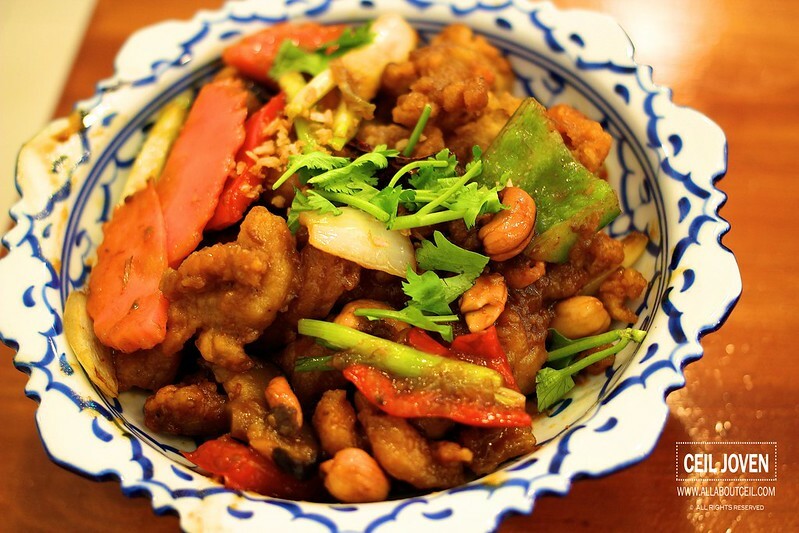 Pieces of nicely fried chicken were stir fried with slices of carrots, mushroom, the red and green pepper with bits of cashew nuts to a desired flavor. 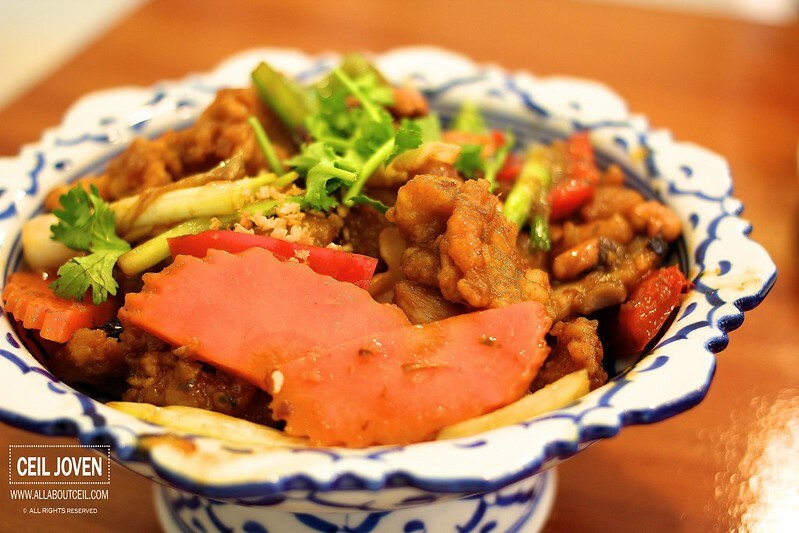 This dish is particularly worth trying for those that do not eat spicy foods. It goes really well with the plain rice. 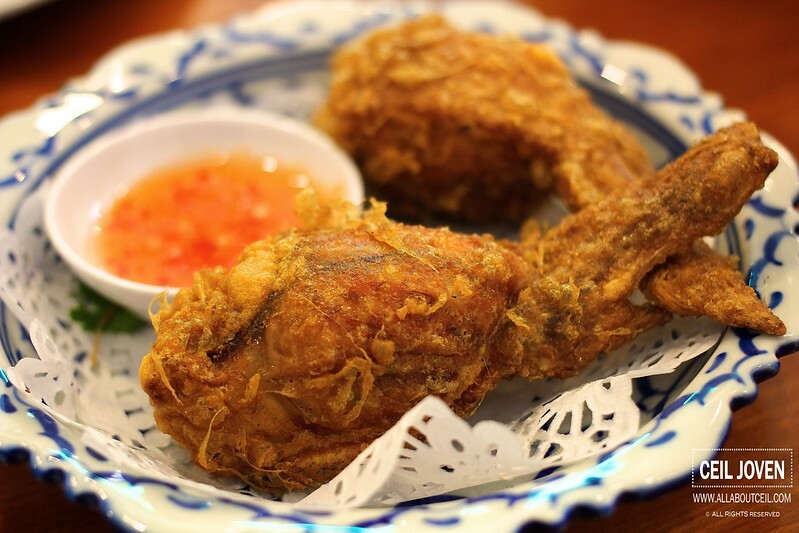 The Deep Fried Stuffed Chicken Wings are another favourite. The deboned mid wing was nicely stuffed with minced pork filling. 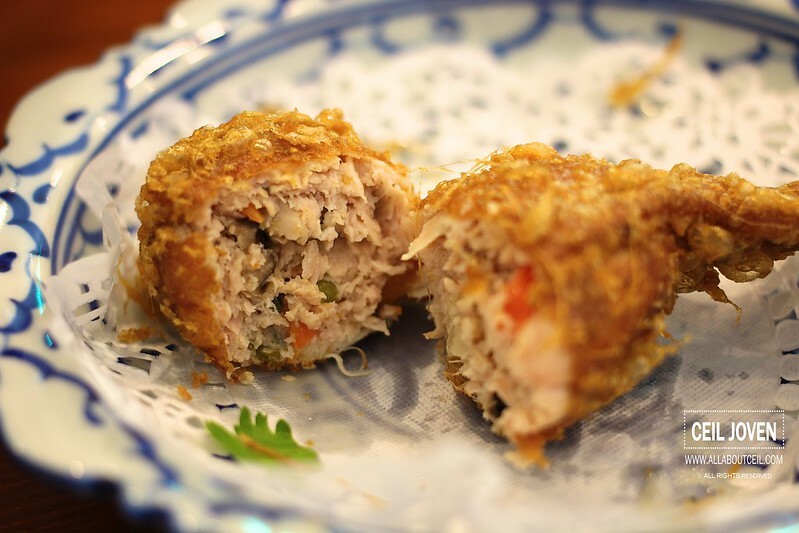 The filling was nicely seasoned with bits of carrots and mushroom added to enhance its taste and texture. 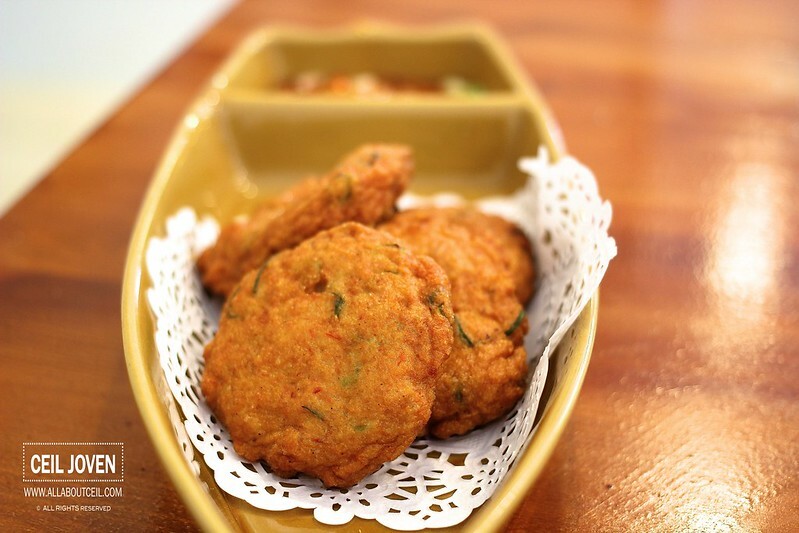 We decided to try the Homemade Thai Fish Cake for the first time. The taste was just passable. It tasted good but not quite memorable even after dipped it into the accompanied thai chilli sauce. 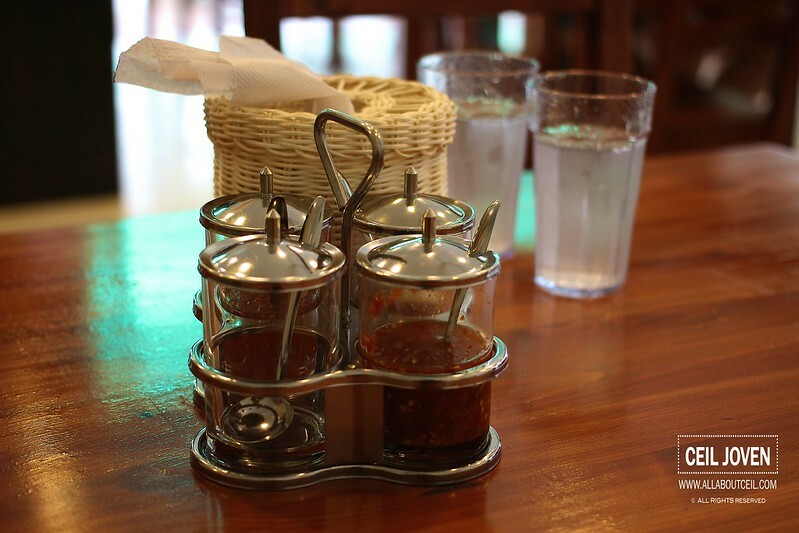 We are not quite likely to order it again. We ordered the Red Rubies dessert for the first time too for just $3. 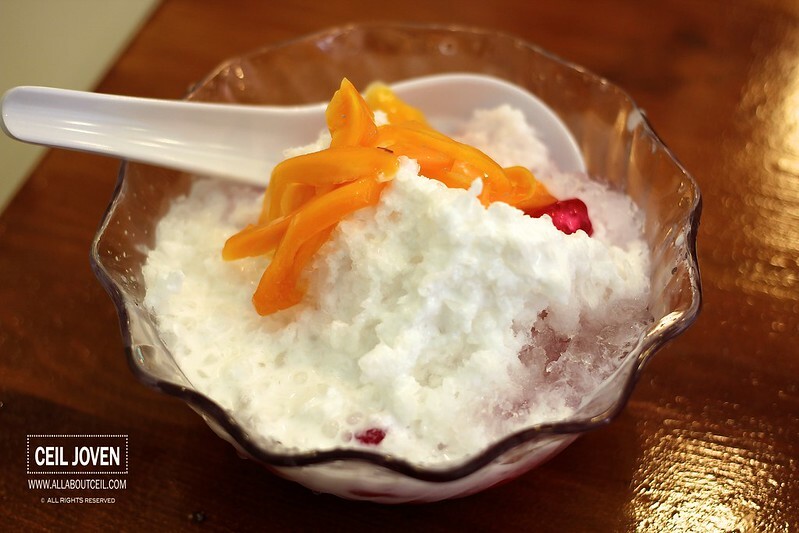 It served with a generous amount of red rubies in the shaved ice with just the right amount of coconut milk added to give the desired level of sweetness and flavor. It was then topped with a few strips of jackfruits to serve. The overall taste was delightful and left me craving for more. This dessert itself is already worth the walk from my place to eat it often. 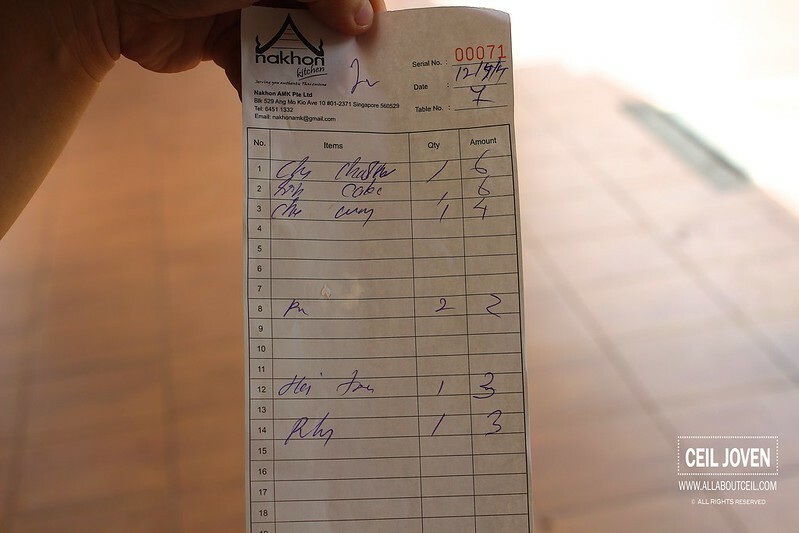 The total bill is $24.00 no service charge nor GST added. This was a satisfactory and value for money lunch. This outlet is conveniently located in the heartland of Ang Mo Kio and much nearer to where i stay.